1. Mix all the ingredients in a zip lock bag and sake well, then add the steak and let marinate in the refrigerator for an hour. 2. 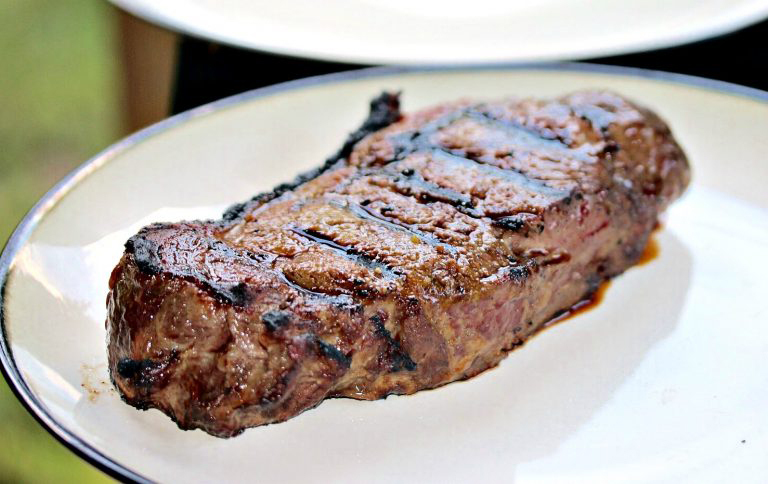 Once the grill is nice and hot, place the steak on and cook for 4-5 minutes, until itâ€™s browned. 3. Then flip it over and cook for another 4 minutes.